As you may know, the Unified International Taekwon-Do Federation (Unified ITF, UITF) is now officially known as UNIFIED TAEKWON-DO (Unified TKD). Unified Taekwon-Do is now represented by its own distinct name, logo and patch. Moreover, our administration has been structured to put the needs and interests of our members at the center of all our decision making, to maintain the integrity of the art of Taekwon-Do left to us by General Choi, Hong Hi, and to distinguish us from all other Taekwon-Do organizations. We are on a mission to transform the way we support and interact with our members so that everyone has equal membership benefits and access to resources. We live in a time where people from all around the world are easily connected and have many avenues for people to learn and teach Taekwon-Do through communities both locally and globally. The National Governing Body (NGB) model, of one leader per country, requires everyone under that umbrella to train, promote and access resources under the methods of, and via, a single person. It centralizes power, creates exclusivity that does not have a system of checks and balances and often fails to serve the needs and interest of its members. An open structure facilitates growth and innovation and paves the way for new ideas while ensuring fair and equitable treatment of all members. The politics of Taekwon-Do are divisive and detrimental to our goals. The Masters, instructors and students of Unified are passionate and dedicated to preserving General Choi’s legacy. Unified has many rising stars and we are dedicated to help them shine; I know that our potential is endless if we all work together. 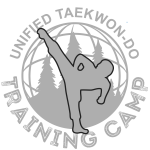 As part of this effort, Unified Taekwon-Do offers open Membership Options. Practitioners can join as individuals, as a school/club/dojang, or as an association with direct access to resources available at all levels. This membership model promotes the success of local associations that have strong leadership and operate in a way that is consistent with the Unified TKD culture of providing value, support, and taking care of the needs and interests of their members. Charter and individual memberships are available to those who do not have access to, or choose not to be part of, a local association. Leading by force or fear is not leadership, it is stifling and suppressive. However, leading with compassion and understanding is inspirational, and encouraging, and it creates endless possibilities. We chose the latter. Change is not easy but it is necessary for viability and progress. Unified Taekwon-Do is structured in a way that is dedicated to serve you, our members, and to provide you with an organizational FREEDOM that has never been seen before. I look forward to working with you and am excited for our future.